Gathland State Park, once the mountain retreat of Civil War journalist and novelist George Alfred Townsend, is located just one mile west of the small town of Burkittsville, off Maryland Route 17. The park straddles the Frederick County and Washington County line at Crampton’s Gap on South Mountain. It is one of three gaps where fighting took place during the September 1862 Battle of South Mountain, the first major battle of the Civil War fought on Maryland soil. Townsend was a noted war correspondent during the Civil War and considered by many to be the youngest correspondent. Following the war, he covered the assassination of Abraham Lincoln and its aftermath. Townsend, who wrote under the pen name “Gath,” acquired the land on South Mountain known as Gapland in 1884. He wanted to create a retreat and immediately began designing grand buildings. 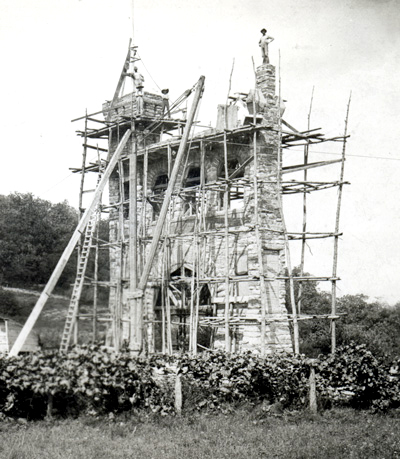 He built his estate over a ten-year period and in 1896 unveiled the crown jewel, the War Correspondents Memorial Arch. The monument stands fifty feet high and forty feet broad, bearing 157 names that Townsend collected, from both north and south. It was the first monument in the world dedicated to journalists killed in combat. Townsend left his Gapland estate in 1911 and died in 1914. The estate fell into disrepair and changed hands several times until it was given to the state of Maryland. In 1949 it became Gathland State Park. 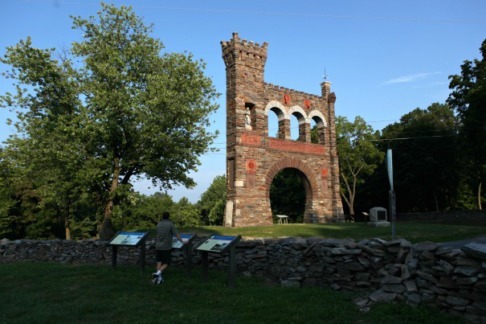 The War Correspondents Arch was deeded to the federal government during Townsend’s lifetime. 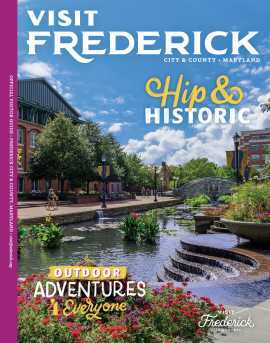 The arch, located in Frederick County, is a National historic monument, administered and maintained by Antietam National Battlefield. Today, in addition to the arch, visitors to Gathland State Park can see the two buildings from Townsend’s estate that have survived, as well as his unused mausoleum with the inscription “Good Night Gath.” Gapland Hall is a museum housing artifacts about the life and career of Townsend. The other building is a museum with interpretation and artifacts related to the Battle of South Mountain. The Appalachian National Scenic Trail also passes through Gathland State Park, attracting local and through hikers.